To help arrive at a more helpful answer, we’ll assume you’re putting your first kit together for Company of the Staple events around Calais in 1376, and have sensibly chosen a portrayal of modest means. The general answer is your clothes should be dyed with plant dyes used in medieval Europe, or with a modern dye that achieves a similar colour. Above is a set of wool yarns dyed by Silvio’s Workshop in Italy. 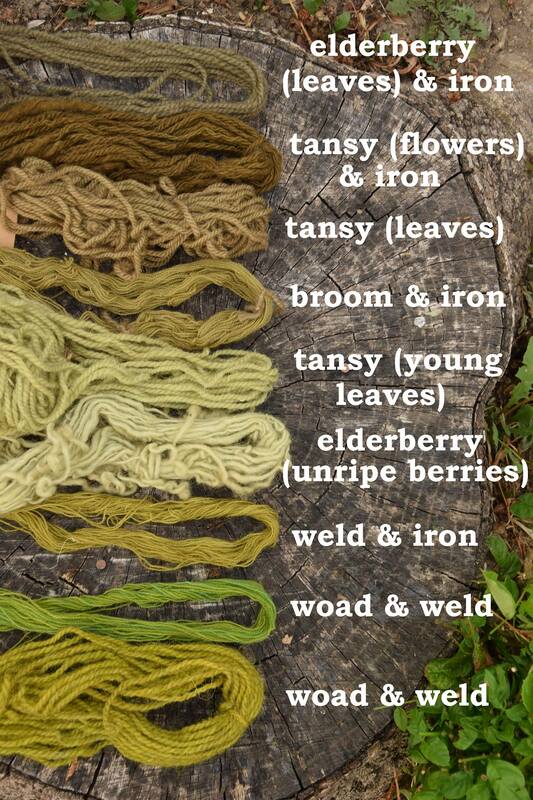 Except for the green on the end, are all hand dyed using appropriate dyestuffs and mordants from 13-14th century sources. Thanks to Rosalie Gilbert, who is the proud owner of these yarns. 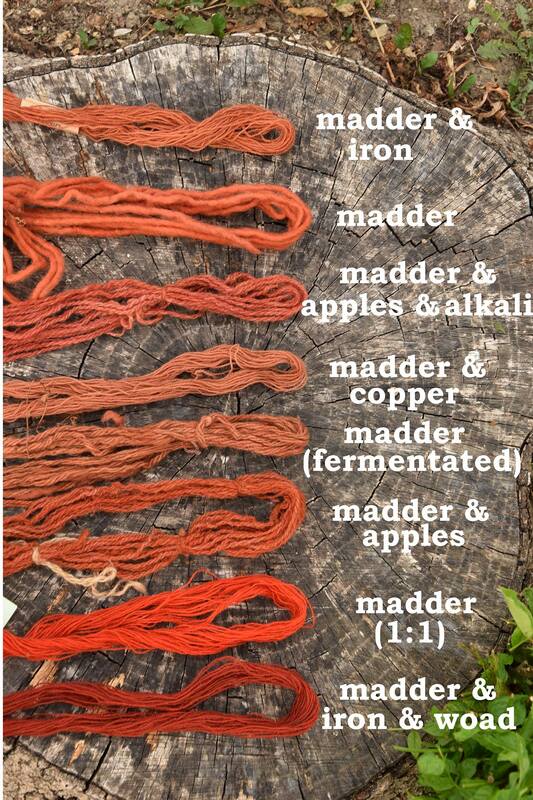 These are dye samples by Medieval Colours in the UK. They offer this excellent gallery on their Facebook page. You can also order these coloured yarns from their website, which would be a more reliable way of matching colours than using digital images. 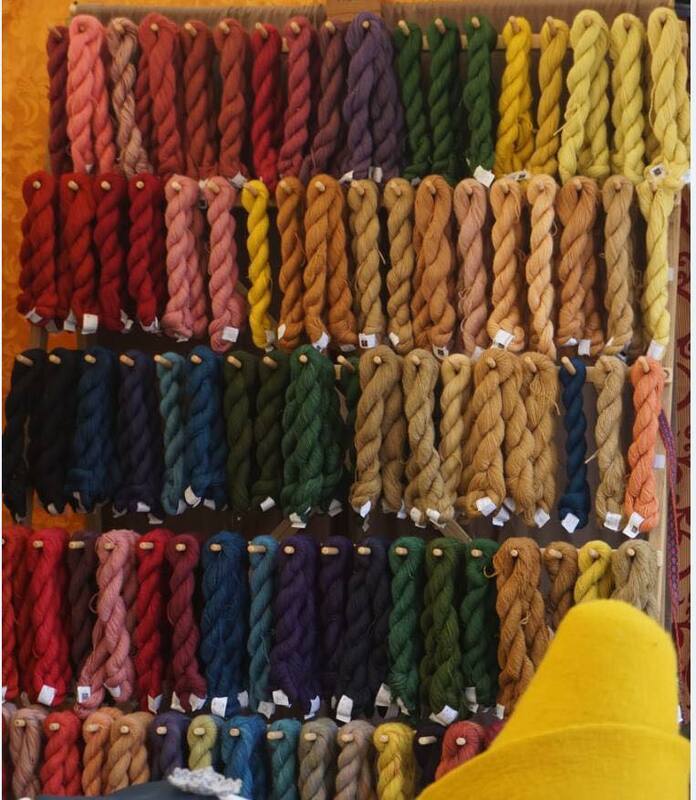 This is a picture of the wool yarns offered by Mulberry Dyer in the UK. They specialise in historical colours and can offer advice and products for specific periods and locations. 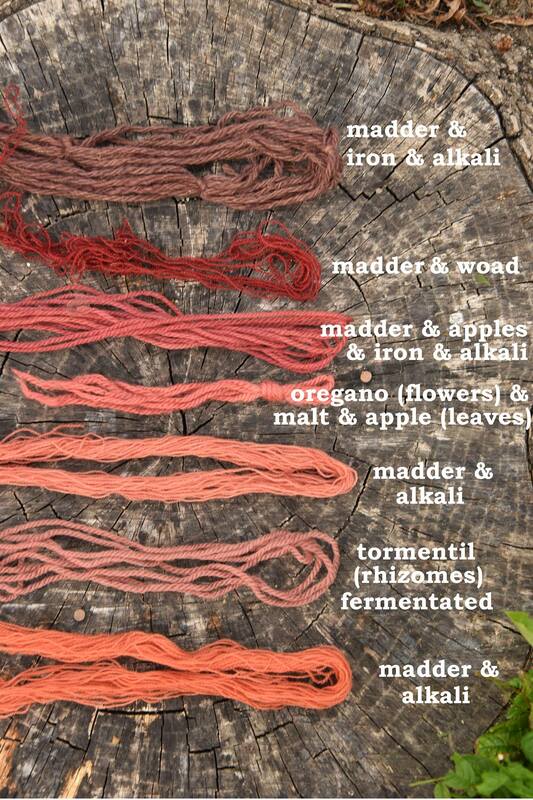 This is their full collection, showing the wide range of colours and hues achievable with natural dyes. Check them out online or on Facebook. 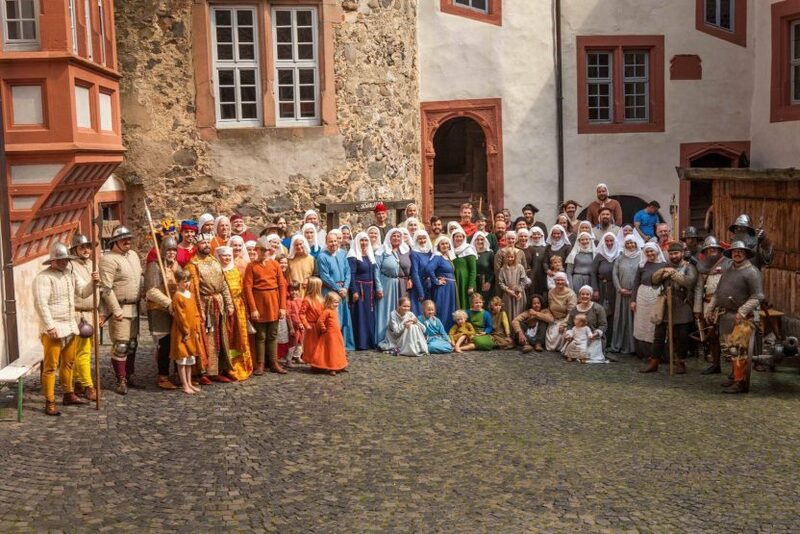 It is never smart to copy other re-enactors, even if they seem to be really careful and well researched in their portrayals. It is interesting though, to look at this colour palette portrait of a fourteenth century re-enactor gathering at Ronneburg Castle in Germany. 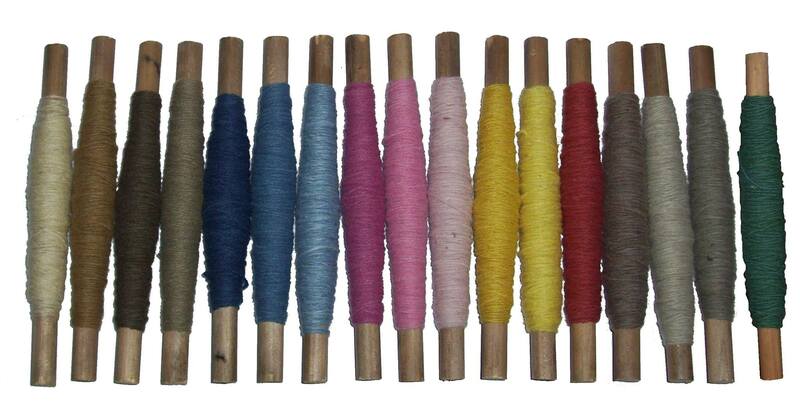 The same dyestuff can produce different colours on different fibres and with different mordants. Generally speaking, the first batch of fabric or yarn to be placed in a dye bath will get the most intense colour. A dye bath can be re-used, but each batch will be more washed out. It is, therefore, cheaper to produce muted, pale colours than very intense ones. These are known as ‘exhaust’ colours as the dyestuff in the bath becomes exhausted. Overdying is where two or more different dye baths are used, say blue then yellow to make green. Overdyed colours were more expensive than plain bright colours. Dark, intense colours can usually only be produced by overdying. Undyed yarns may also have been used, available in the natural colour of the sheep’s wool. Most natural wool grown for fibre was grey or white in the medieval period, with few sheep of ancient breeds producing brown wool. 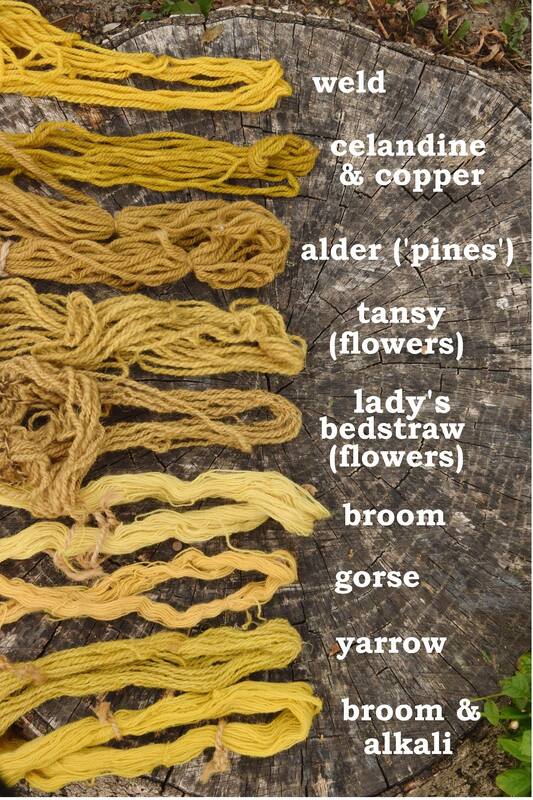 Even wool from brown sheep is not colour-fast and fades to a golden yellow in sunlight. Undyed yarn then, would have been white, grey or occasionally a pale yellowy brown. While it’s a good start to know what colours were achievable, much more can be discovered about the colours worn by different social classes in different times and places. To further refine the colours used in particular locations and social classes, it can be useful to look at contemporary artwork. Many illuminated manuscripts from the fourteenth century survive, depicting many scenes of history, religion and folklore in vivid colour. 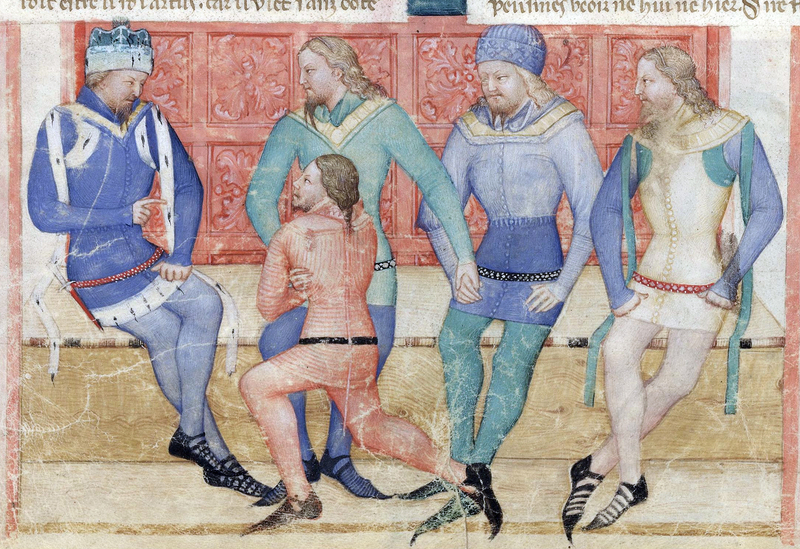 There are pitfalls though, to relying on medieval artwork for colour guidance. 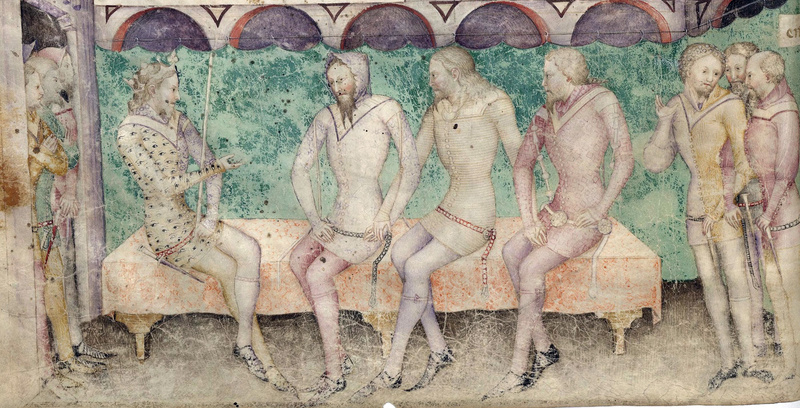 Some manuscripts use limited palettes, and the colours used to depict clothing may simply be the colours available to the artist. Conversely, with the ability to blend many colours of paint, would artists not strive to depict realistic colours of fashion, if they so chose? 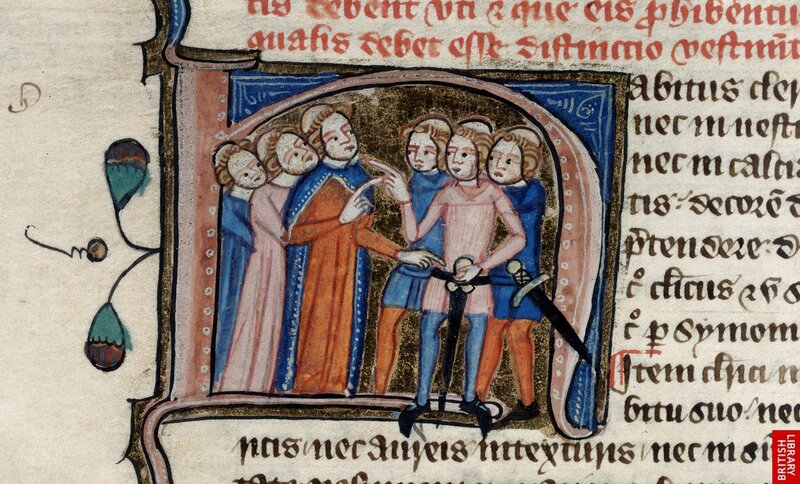 Some manuscripts are painted in a very realistic fashion, whereas others are more abstract. It is important to understand the subject of a given painting and their audience to know if it is likely to be realistic or not. Generally, if the depiction of known constants like plants, humans and animals is realistic, it’s a guide to how realistic the depiction of fashion is. Written sources, like wardrobe accounts and wills, can help to narrow down colours of fashion for a particular time and place. Unfortunately, colours in written sources must be described in words, so it’s important to know when a text refers to a colour and when it refers to a fabric type. 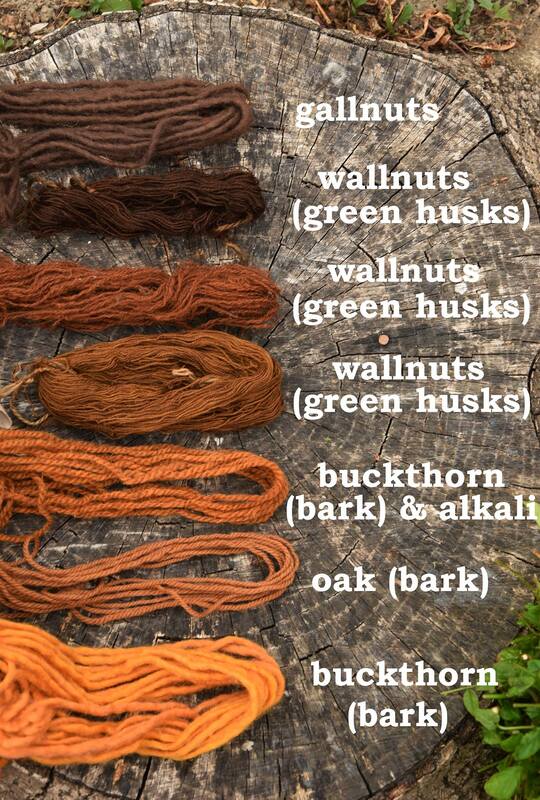 For example, ‘russet’ is the name of a brown colour in English, but also refers to a coarse type of homespun fabric. Rosalie Gilbert has useful pages on colour names and fabric types which may be of assistance in interpreting written records. 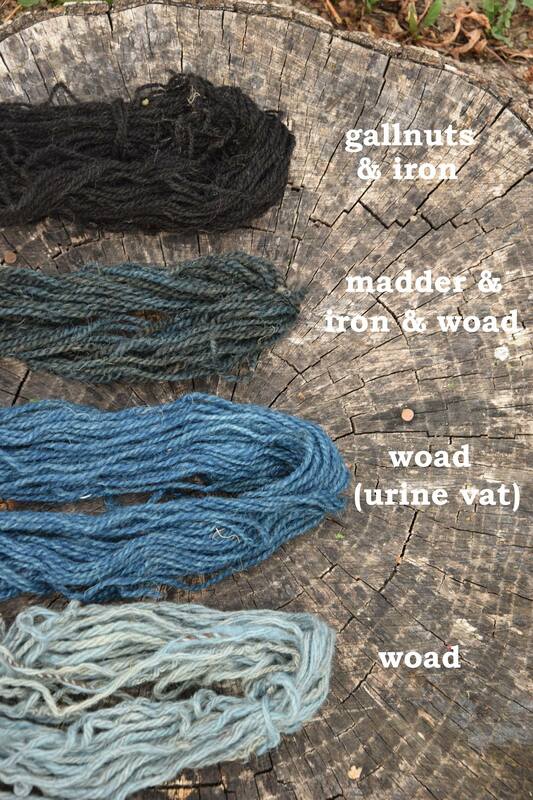 For your first outfit, try to find wool in the colours of natural dyes, not too dark or bright. Thanks to Rosalie Gilbert and members of the Facebook group ‘C14th LH Community – Australia’ who contributed information for this article.